Tell me about some of yours! 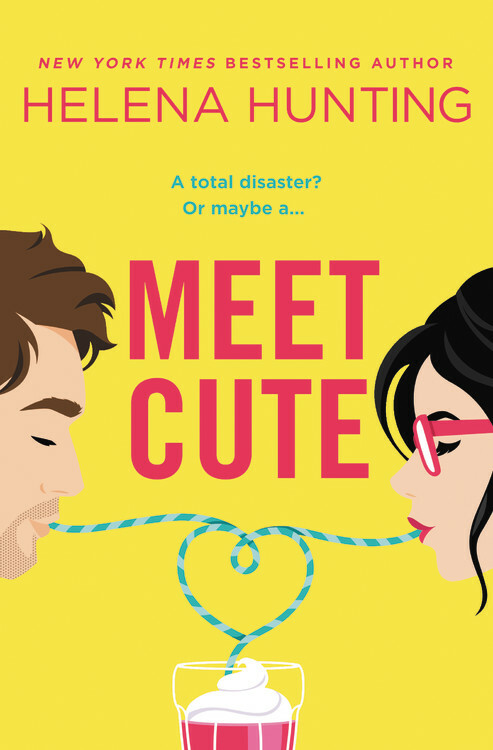 I want to start so many of these series! 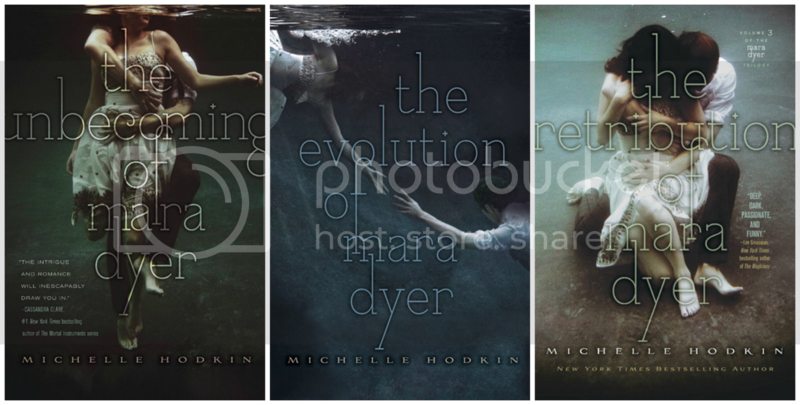 The Grisha Trilogy, The Bronze Horseman Trilogy, Mara Dyer…! This week’s post has left me feeling a little overwhelmed with the length of my TBR list! Oh wow. There are so many good books on this list. 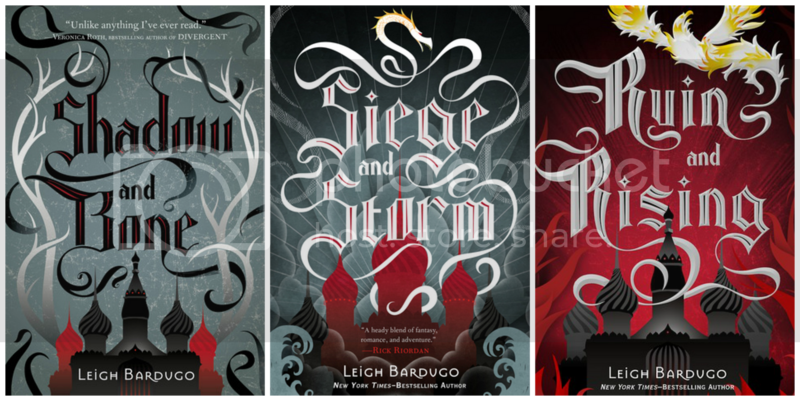 I highly recommend the Shadow and Bone trilogy. I loved Unearthly and Mara Dyer too. I think Mara Dyer is a book that you either love or hate! Right now is the perfect time to read the Mara Dyer books because RETRIBUTION will be here VERY soon. I also own and really need to read UNEARTHLY, THE KNIFE OF NEVER LETTING GO, and GRAVE MERCY. I thought was SHADOW AND BONE was good and SIEGE AND STORM was a sophomore slump, and I still haven’t read the last book (I own all but the second, though I have an ARC). I liked UNDER THE NEVER SKY, but I still haven’t finished THROUGH THE EVER NIGHT because my gosh, I’M BORED. Sooo…start with Mara Dyer? HIS FAIR ASSASSIN EXCUSE ME WHILE I FANGIRL ALL OVER YOUR COMMENTS SECTION. I’ve always wanted to read Shadow and Bone, Grave Mercy, and the Mara Dyer series!! Actually, I’ve been wanting to read half the series in this list. It makes me so curious when everyone else reads it (and enjoys it) while you are there NOT READING IT (YET). Haha but I really plan to read them :> Great list!! 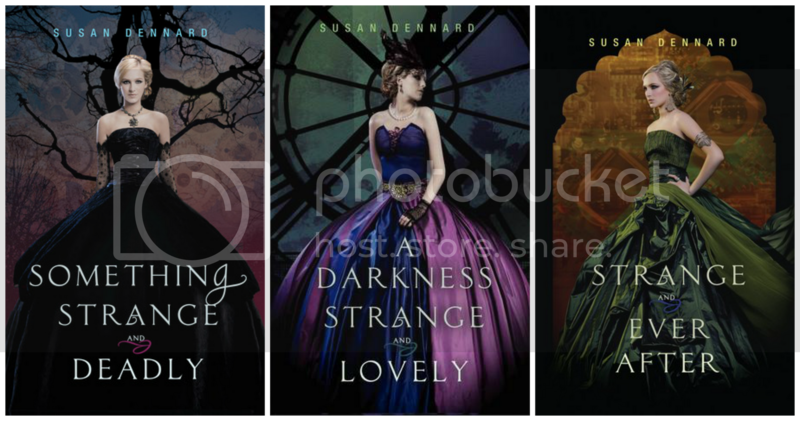 Four of these series are also on my list! So funny! Also I’m actually proud to have completed two of the series on this list. Your list is probably my favorite so far because it is so similar to me SO YAY FOR THAT. Also I’m not surprised, haha! You need to read like all of these books bien sur!I am unfamiliar with the Bronze Horseman though. To GoodReads I go! I’ve read the book in so many of these series. But I also really need to read the Grisha series. 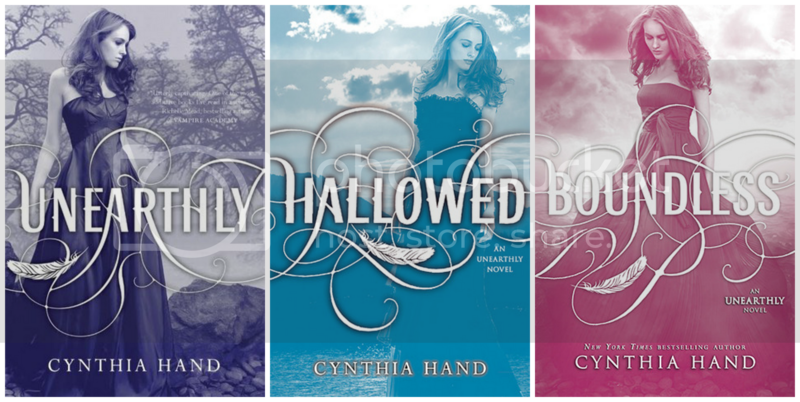 I love those covers, and everyone raves about those books. same thing for His Fair Assassin. I’m going to try to read the His Fair Assassins before the year is out. Hopefully I manage that! Great picks and so many beautiful covers! There’s a ton of books on here that I am desperate to read myself – Grisha series, A Girl of Fire and Thorns and Something Strange and Deadly especially. I hope you can get to some of these soon :) TTT. I literally just finished reading Unmade this morning. 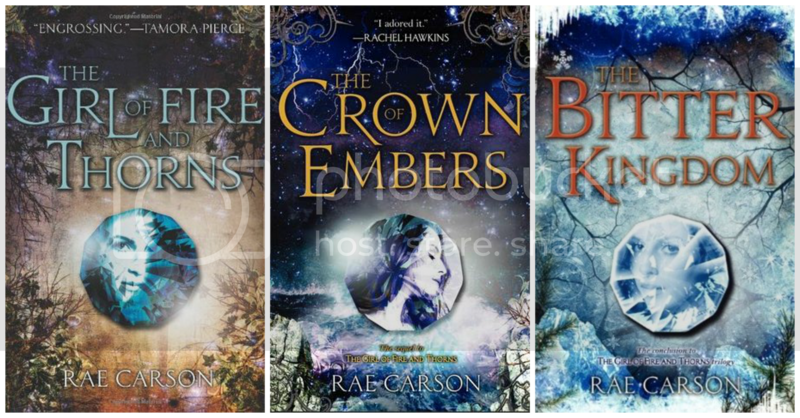 It’s a great series, but I gave the first book 5 stars, the second book 4 stars, and the third book 3 stars, so the first book is definitely the best in that series. You should still definitely give it a try! I’ve also read the first Mara Dyer book and it was great! I can totally relate on owning way too many books that I haven’t read yet…it’s just so hard not to get more books! I’ve got Grave Mercy on my list for one day :) So many pretty covers! Oh dear, it looks like we have the same problem! Whenever I hear someone raving about a series, I automatically go and get myself copies of the books. It’s such a bad habit but I can never resist! Under the Never Sky is really good, but I haven’t read any of the others, even though 5 of the 10 that you mentioned are also on my to-read list. This problem of mine has gotten worse since I discovered book blogs. AHHHH! I love this list so much :) I’ve read every book in 7 of these series, have read at least one book from 2 of them and only have one on here that I haven’t started yet. EEEK! Clearly, I’m addicted to series! But you’ve got some great choices on here. I’d most highly recommend reading: Unspoken, The Girl of Fire & Thorns, Grave Mercy and The Bronze Horseman. Those are my four favorites on this list! I also really enjoyed Shadow and Bone and Under the Never Sky, so you can’t go wrong with those either. The Grisha trilogy is a definite yes – I still need to read the final book, but I loved it. 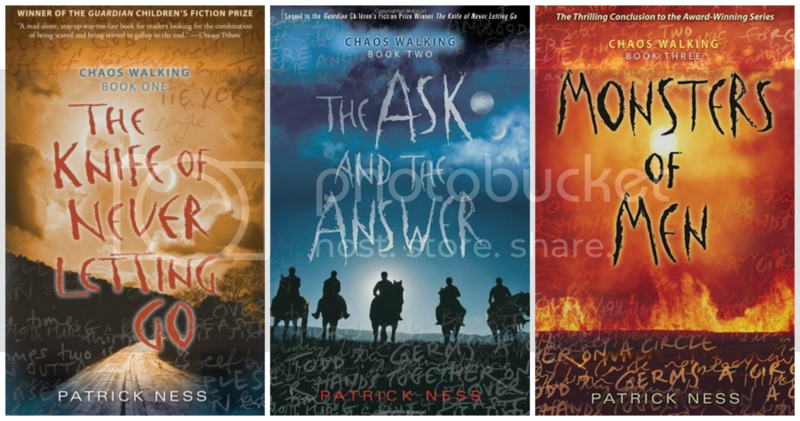 Under the Never Sky is one of my favourite YA series – I read the whole lot as e-Arcs and then purchased the whole series hardcover I loved it so much. 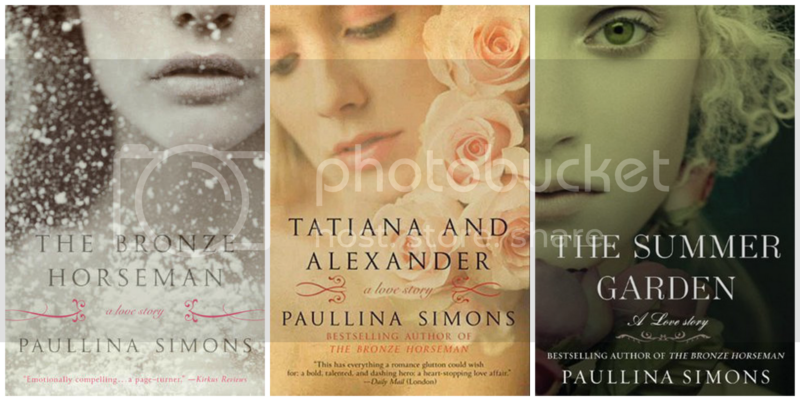 And Tatiana and Alexander is my favourite series, EVAH! So many great ones to recommend you on here haha! I also highly recommend Fire and Thorns – book 1 is okay, but books 2 and 3 are fantastic (HECTOR) – Grave Mercy – assassins! – and Mara Dyer – I am beyond terrified for book 3!